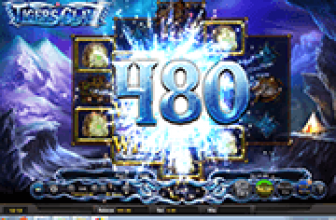 Dragon Kings Online Slot: Array of Dragon Icons Creates Special Win and Pay Boosting Effects! Dragon Kings online slot by Betsoft, harnesses the might of Dragon Symbols to create powerful game changing effects. Five (5) Tarragon images, distinguished by Azure (Blue), Red, Black, White and Yellow-Gold colors, possess different win-boosting effects. 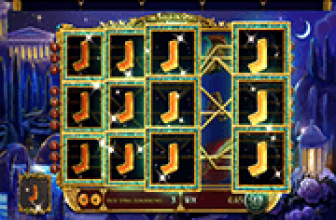 Under varying circumstances, color-coded Dragon Symbols occurring in specific combinations, can also trigger the release of one (1) of four (4) Jackpots. Generally, any Dragon image is a Wild Card that can help compose or lengthen any of 10 paylines. A Magical Dragon Pearl appearing concurrently with a Dragon icon, doubles the effect of the win boosting trait brought on by the latter. This valuable Dragon Pearl though emerges only in a single-cell reel attached to the right side of the grid. Otherwise, other Dragon Pearls appearing in the 3×5 grid, act as Bonus Symbols that can trigger a round of free-spins. Collectively called in this game as “Dragons of the 4 Seas”, each type of Dragon appears in a specific reel. When landing as outcome, it unleashes a power-up element that may bring rewarding results. It is possible for a spin to produce more than 1 type of Dragon Wild. Every type in view, will then add or create changes that improve spin results. This Wild icon is exclusive to Reel 1. When in view, a respin transpires. At the same time, all Dragon images concurrently in view, stay glued to their respective reel. Now if the respin produces a new Azure Dragon, another free turn with Dragon-locking power, will roll all non-Wild positions. Since a reel comprises 3 tiles, up to three (3) Respins may happen in succession. A Wild Symbol emerging only in Reel 2, and it comes with a 3x multiplier. A Black Dragon completing or lengthening a combo into a payline win, triples the reward garnered by the arrangement. This Wild is actually the titular Dragon King. Aside from expanding into a full image when appearing in Reel 3, it also comes with a 2x Multiplier. All segments of the expanded Dragon King Wild can help complete payline combos, and at the same time double the related payouts. White Dragon Wilds occur only in Reel 4 and expand to an adjacent position, on their left or right side. II locked in place during a Respin triggered by the Azure Dragon, White Dragon Wilds will likewise continue to spread out. When emerging in its Reel 5 realm, a Red Dragon generates a random instant Bonus of up to 400 times the current value of the Line Bet. Instances in which one or more Dragon Wilds appear concurrently with a Magical Dragon Pearl in the tail-end reel, are significant. In such cases, any bonus or power-up element added by Dragons in view, doubles in value or in numbers. If by chance, an entire set of the “Dragons of the 4 Seas” occur as outcomes of a single spin, a 2000-coin win will be awarded. A scattering of 3, 4 or 5 Dragon Pearls across the 3×5 play area correspondingly sets off 6, 10 or 15 Free-Spins. Now a Magical Dragon Pearl can double the numbers , if it is also in view in the Extra Reel. Ordinary Dragon Pearls remain active as elements of the bonus game grid; giving players fresh opportunities of kicking off another free round. The same is true with the “Dragons of the 4 Seas,” and the Magical Dragon Pearl. Those special icons will still emerge to improve bonus-spin wins. Bronze Jackpot – Unlocking this Jackpot requires at least one (1) concurrent Dragon. Silver Jackpot – This prize requires 2 concurrent Dragons in different reels. Gold Jackpot – To win this prize, a minimum of 3 Dragons in varying colors must appear in combination with the Dragon King and the Magical Dragon Pearl. Diamond Jackpot – is awarded if a complete set of the “Dragons of the 4 Seas” plus the Magical Dragon Pearl, are all present. 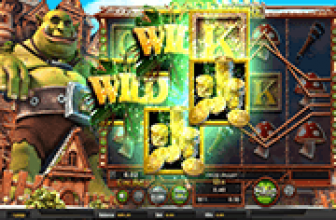 Dragon Kings online slot embellishes spin outcomes with different win-boosting elements if 1 or more Dragon Wilds occur as outcomes of a spin. Each type of Dragon belongs to a specific reel, to which the Reel 3 Dragon King has the most significant participation. If the Dragon King forms a winning combination with any or all other Dragon Wilds, along with the Magical Dragon Pearl, the event triggers the awarding of a corresponding Jackpot.